Stokely Event Center has over 3,500 square feet of space available to ensure plenty of room for dining and dancing at your school reunion event. This space can be utilized in the way that best fits your venue to ensure everything goes off exactly as planned. If you are looking for a Tulsa school reunion venue, Stokely Event Center is sure to meet your needs! No high school reunion is complete with a soundtrack of your formative years and embarrassing pictures to back them up. At Stokely Event Center we provide a microphone, laptop connections to display your media on our included projectors and 3.5-millimeter connections to connect your iPod, smartphone and other devices for audio. 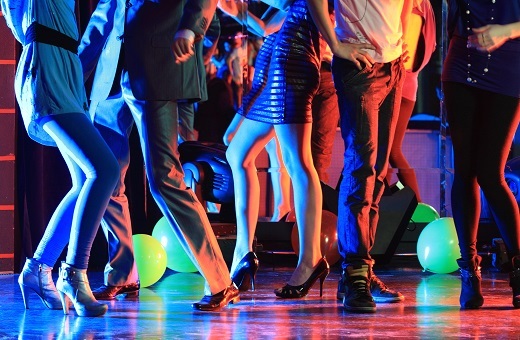 No matter what you need, our audio/video solutions can make your night a breeze. School reunions can be nerve-wracking for most people and to loosen up they often will seek courage from external sources. On the flip side, alcoholic beverages can be used in celebration of new careers and old friendships. At STOKELY, we allow our guests to bring their own beer or wine and provide fully-licensed bartenders when needed. When you have your school reunion at STOKELY, you also get our included event pictures. If you have visited our Facebook page, you likely have seen the normal and funny pictures that are taken with each event we have the pleasure of providing venue services for. This is just another reason STOKELY is your Tulsa reunion venue! If you are currently looking for a unique venue for your Tulsa event, Stokely Event Center can make sure your special day is unforgettable. Guests will love the free-to-play games and a wide assortment of decorative signs. With the flexibility of catering in outside food and drinks, event menus can fit a variety of preferences. Our sound system, projector and screen are included for one great price to meet your audio/visual needs. If you are interested in reserving Stokely Event Center, please call us at (918) 600-4448 or complete our online request form. We can’t wait to be part of your special event!